Long’s Roofing and Sheet Metal is a service oriented business capable of handling all of your Industrial and Commercial Roofing and Metal Fabrication needs. 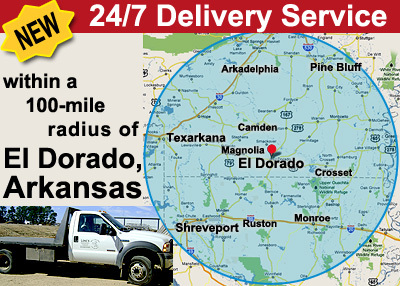 Long's Roofing and Sheet Metal offers 24 hours-a-day, 7 days-a-week DELIVERY SERVICE within a 100 mile radius of El Dorado, Arkansas, servicing South Arkansas, North Louisiana and East Texas for all your Roofing and Fabrication needs. Our technicians are experienced and capable of creating a product based on your design, and even designing a product to meet your needs. Long's Roofing and Sheet Metal is equipped to handle every fabrication job small or large. We also have a large inventory of metal supplies to meet your needs. Browse our photo gallery to see examples of our craftsmanship. Contact us today to see what Long's Roofing and Sheet Metal can do for you. Metal Fabrication including: Stainless Steel, Galvanized, Aluminum, Steel and exotic metals. © 2010 - Long's Roofing and Sheet Metal. All Rights Reserved.